Blizzard just released a new Battle for Azeroth cinematic during the opening ceremony that features the faceoff we’ve been waiting for. During the Battle for Lordaeron, Alliance players saw Saurfang taken into custody. During the Horde opening for Battle for Azeroth, Horde players saw Saurfang in the Stockades. Although the opportunity was there for him to escape, he chose to stay put. In Lost Honor, Anduin and Saurfang finally meet again face-to-face. In the midst of a war that is wiping out Alliance soldiers left and right, Anduin’s not sure he can defeat Warchief Sylvanas Windrunner. But the Alliance isn’t out of chances just yet … provided they can recruit a new ally of sorts. Saurfang has some tough decisions to make. What Sylvanas has chosen to do with the Horde opposes everything the old soldier finds honorable. He went along with it as long as he could, but Sylvanas crossed the line with the burning of Teldrassil, and Saurfang can’t forget that, nor can he forget his part in it all. He’s responsible for all those deaths just as much as Sylvanas is. 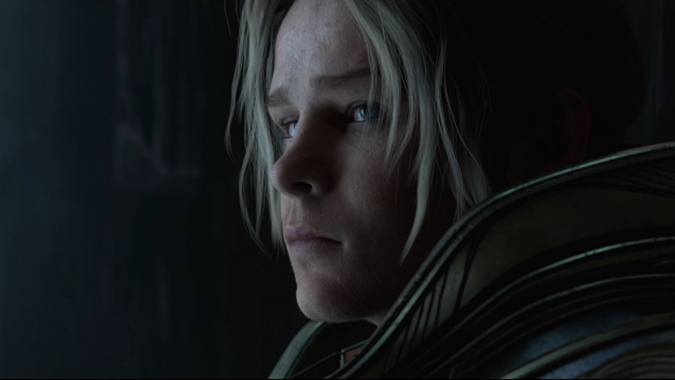 Anduin is offering him the one thing he really needs right now: a second chance at redemption — a chance to bring the Horde back to its former glory. How’s that all going to play out? We’ll have to wait and see when patch 8.1 arrives — but given Sylvanas’ low opinion of Saurfang in the Battle for Lordaeron, we’ve got more explosive reunions coming.